ABC Family has announced the upcoming summer returns of Chasing Life, Switched at Birth, and Young & Hungry — and the series premieres of unscripted TV shows like Monica the Medium, Job or No Job, Next Step Realty: NYC, Startup U, and Kevin at Work. They join the previously announced summer debuts of Pretty Little Liars, Stitchers, Melissa & Joey, Baby Daddy, The Fosters, and Becoming Us. “Monica The Medium” premieres Monday, July 13th at 10:00 – 11:00 p.m. ET/PT and provides a fascinating look at Monica, a junior at Penn State navigating friends, family, relationships – and the fact that she’s a medium and can talk to dead people. Her uncommon vocation provides an endless supply of emotional and engaging stories, with a unique millennial perspective. The show is produced by Dave Caplan’s Trooper Entertainment in association with Lionsgate TV. Caplan will serve as executive producer alongside Malachi McGlone. From the producers of “Undercover Boss,” “Job or No Job” premieres Wednesday, August 5th at 9:00 – 10:00 p.m. ET/PT. The series follows one young adult per episode on his/her journey to land a first job. Each job seeker will go on three interviews, and we will watch the intense ride to find out if he or she lands three, two, one – or zero offers. Jane Buckingham (Founder and CEO of Trendera and bestselling author of The Modern Girls Guide to Life) will be the career expert on ABC Family’s “Job or No Job.” The series is produced by Studio Lambert/All3Media America. Stephen Lambert, Eli Holzman, Greg Goldman and Sara Quick serve as executive producers. The business-based docu-series “Next Step Realty: NYC” premieres on Tuesday, August 11th at 9:00 – 10:00pm ET/PT. From Lincoln Square Productions, this series follows the passionate and ambitious employees of Next Step Realty. The Manhattan-based real estate firm specializes in helping recent college graduates find their apartments in New York City while navigating interpersonal and professional conflicts in the workplace. Danielle Rossen (“What Would You Do?”) serves as the executive producer. “Young & Hungry” returns with more episodes on Wednesday, August 12th at 8:00-8:30pm ET/PT as Gabi continuing to cook up drama and laughs in Josh’s kitchen and his life! Josh rolls out his biggest app yet; Elliot revels in the state of his love life; and Yolanda gets even closer to Gabi and Sofia. “Pretty Little Liars” star Keegan Allen guest stars in one episode as Tyler. The half-hour workplace comedy “Kevin from Work” premieres on Wednesday, August 12th at 8:30-9:00pm ET/PT. The single-cam series centers on Kevin, a young man who declares his unrequited love for his coworker Audrey in a letter, believing he’ll never see her again after he accepts a job overseas. But when the opportunity falls through and Kevin is forced to return to his old job, how will he and Audrey continue to work together now that his feelings are no longer secret? The series is written, created and executive-produced by Barbie Adler (“How I Met Your Mother,”). Aaron Kaplan at Kapital Entertainment (“Chasing Life”) and McG at Wonderland Sound & Vision (“Charlie’s Angels”) serve as Executive Producers. The comedy stars Noah Reid (“Backpackers”) as Kevin, Paige Spara as Audrey, Matt Murray (“Rookie Blue”) as Brian, Jordan Hinson (“Eureka”) as Roxie, Punam Patel as Patti, with guest star Amy Sedaris (“Strangers with Candy”) as Julia. Starting moments after Leo’s surprising marriage proposal, Season Two of “Chasing Life” premieres on Monday, August 17th at 9:00-10:00pm ET/PT. April will try to live life to the fullest despite her recent relapse. From wedding dress shopping to a surprise trip, and a bachelorette party ending in jail time, April is determined to enjoy everything. The rest of the Carver family must deal with the effects of April’s illness and choices as the medical bills start to mount up. Meanwhile, questions arise about a mystery surrounding their father’s death. “Startup U” premieres on Tuesday, August 18th at 8:00-9:00pm ET/PT and follows a group of entrepreneurial millennials as they embark on a semester at Draper University in Silicon Valley. Led by billionaire founder and venture capitalist Tim Draper, the seven-week program teaches the fundamentals of launching a startup company under the mentorship of America’s business leaders. In the end, students pitch their ideas to a panel of hungry venture capitalists with the hope that they’ll receive a life-changing investment to launch their business. To date, more than 150 Draper graduates have received funding totaling more than $15 million from mogul investors and Tim Draper himself. Brimming with innovation and determination, “Startup U” pulls back the curtain on what it takes to achieve success in the most innovative and competitive marketplace in the world. Viewers join a group of savvy millennials as they suffer through hard lessons and grab opportunities with both hands, all in the pursuit of their dreams. “Startup U” is produced by Ugly Brother Studios, a Sky Vision partner. Mike Duffy, Tim Duffy and Tim Draper serve as executive producers. In the fourth season of “Switched at Birth,” premiering on Monday, August 24th at 8:00-9:00pm ET/PT, Bay continues to deal with the fall-out of her assault and her break-up with Emmett, and Daphne struggles to find a balance between college and a new love. The Kennish family is rocked by news of an unexpected pregnancy. “Pretty Little Liars” premiering on Tuesday, June 2nd at 8:00 – 9:00 PM ET/PT. “Stitchers” premiering on Tuesday, June 2nd at 9:00 – 10:00 PM ET/PT. “Melissa & Joey” premiering on Wednesday, June 3rd at 8:00 – 8:30 PM ET/PT. “Baby Daddy” premiering on Wednesday, June 3rd at 8:30 – 9:00 PM ET/PT. “The Fosters” premiering on Monday, June 8th at 8:00 – 9:00 PM ET/PT. “Becoming Us” premiering on Monday, June 8th at 9:00 – 10:00 PM ET/PT. What do you think? 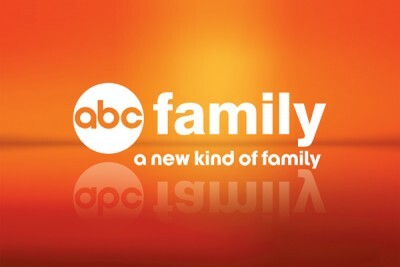 Which ABC Family TV shows do you plan on watching this summer? More about: Baby Daddy, Baby Daddy: canceled or renewed?, Becoming Us, Becoming Us: canceled or renewed?, Chasing Life, Chasing Life: canceled or renewed?, Job or No Job, Job or No Job: canceled or renewed?, Kevin from Work, Kevin from Work: canceled or renewed?, Melissa & Joey, Melissa & Joey: canceled or renewed?, Monica the Medium, Monica the Medium: canceled or renewed?, Next Step Realty: NYC, Next Step Realty: NYC: canceled or renewed?, Pretty Little Liars, Pretty Little Liars: canceled or renewed?, Startup U, Startup U: canceled or renewed?, Stitchers, Stitchers: canceled or renewed?, Switched at Birth, Switched at Birth: canceled or renewed?, The Fosters, The Fosters: canceled or renewed?, Young & Hungry, Young & Hungry: canceled or renewed? All the shows on ABC Family are great!!!!!!!!!!! RENEWING THESE SHOWS IS THE SMART MOVE!! Pretty Little Liars, oung and Hungry and Switched at Birth are all great shows and deserve a long stretch of seasons. Maybe about 8 or 10?